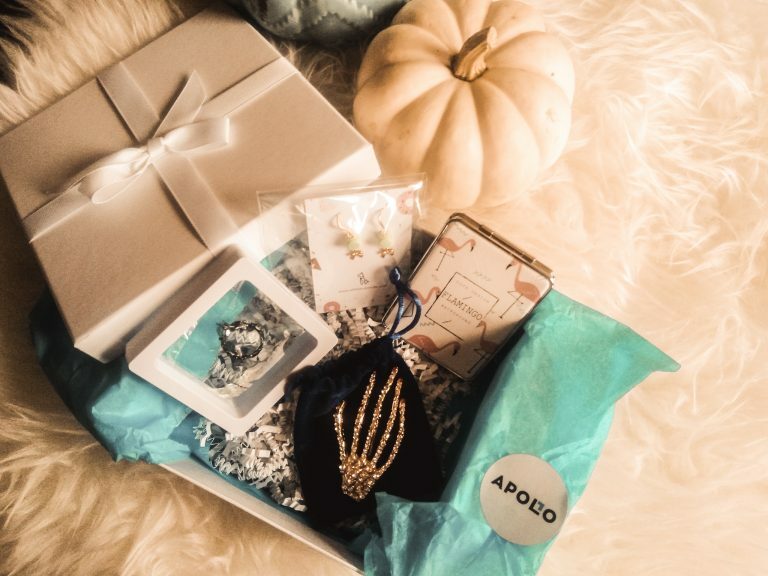 My October box was super fun this month and I can’t wait to share with you everything that was inside! Not only did I get fun, girly pieces, but a few had more of an edge to them to celebrate Halloween! These are the most exquisite and dainty pieces ever. I mean, what girl wouldn’t love macaroon earrings?! These little works of art dangle on gold hooks and feature light green macaroons with a gold “filling” in the middle. Little gold bows hang beneath each macaroon. They seem to be very well made! 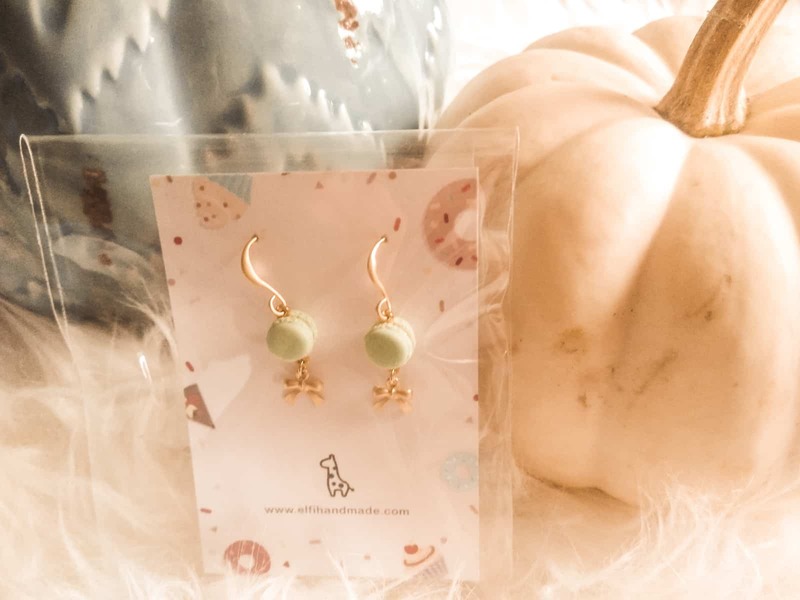 Both earrings come packaged in the cutest little envelope! This piece really made an impact on me because of two things: my middle name is Rose and my favorite Disney movie is Beauty and the Beast. 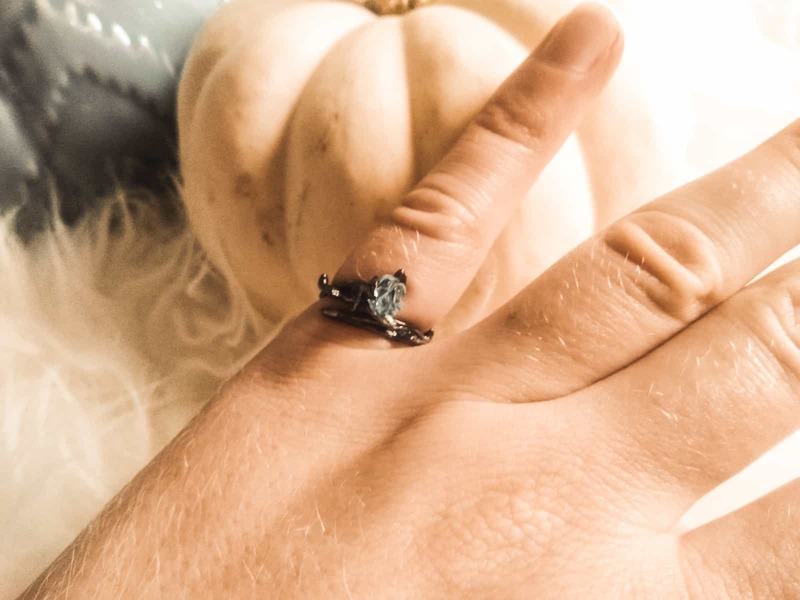 This ring, made out of a darker sterling silver and topped with a turquoise rose, reminds me so much of that movie and the rose beneath the glass dome. The stem even has thorns on it for more of an edgy vibe. The ring can be adjusted simply by pushing or pulling the metal make it larger or smaller. This piece. What an awesome accessory for Halloween! This skeleton hand features white rhinestones covering the main part of the hand and the fingers. The fingernails are red rhinestones that add a girly vibe to the piece! The pinch clip allows the piece to hook well into hair and stay put. The entire clip is about two inches long and about an inch wide. 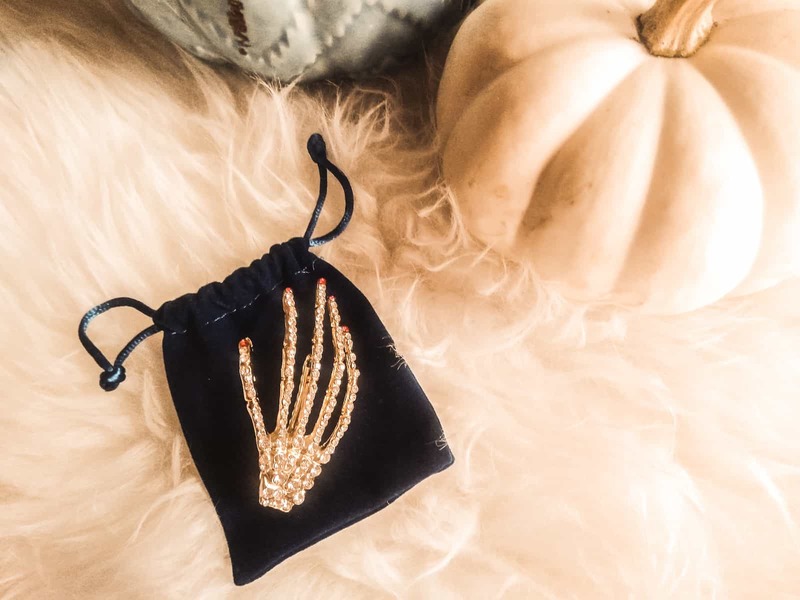 What a spooky and sparkly accessory! This pretty little hand mirror was thrown into my box and it’s just the cutest! Its slim design offers two different magnification mirrors for those up-close makeup fixes! 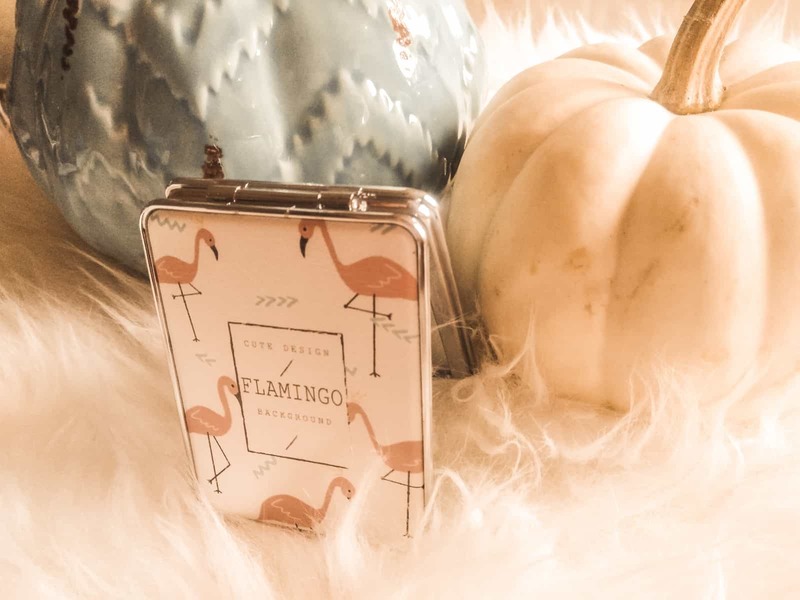 Covered with the sweetest little flamingos, this pocket mirror is perfect to throw into a purse, clutch, or even your back pocket!